Tucked away just off Princes Street in amongst the boutiques of Rose Street you will find Element. 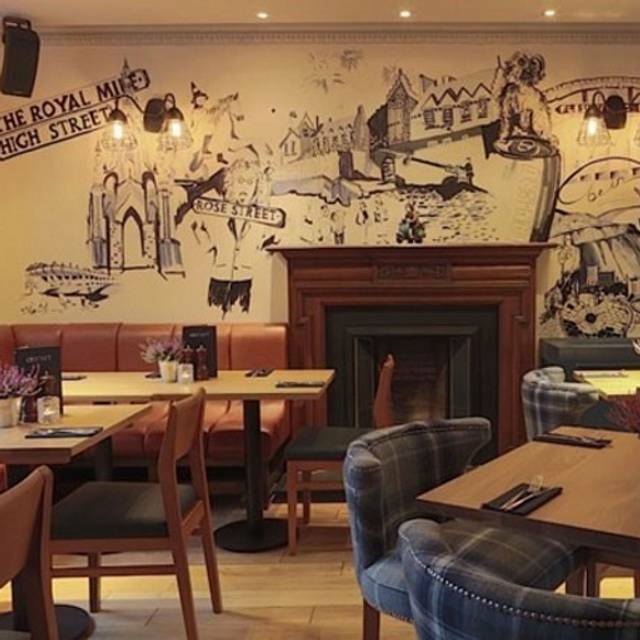 The bar has long since established itself as the perfect place to eat, drink and relax right in the heart of the Edinburgh. 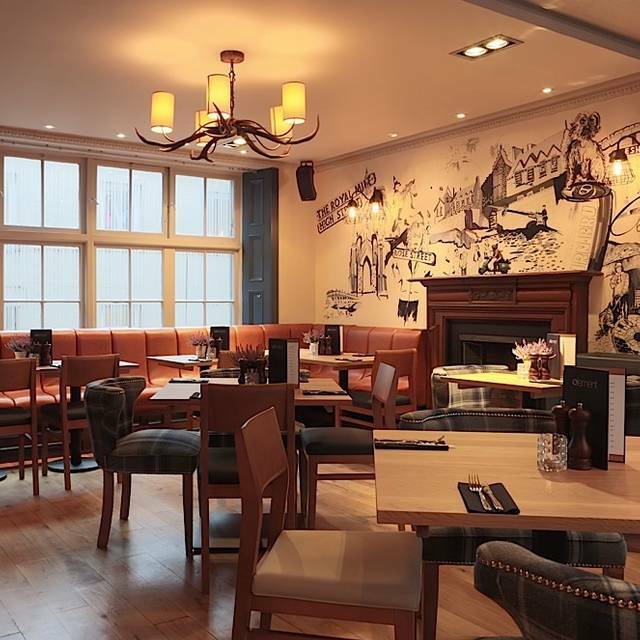 Whether you’re sampling a local beer or cocktail in the bar after work or enjoying a lazy weekend lunch in the restaurant, our staff will ensure you feel welcome in our home from home. We had a great dinner at Elements. Everyone was very friendly, and both food and service were terrific. My husband had the lamb, which was absolutely excellent, and my fish and chips was quite tasty. The house salad was really fresh and big enough for two. Thanks for a good dinner! Always a pleasure. We will come back. Good food. Perfect sevice. Delicious food, very friendly, helpful staff and a pleasant atmosphere in general. We have been here before and would hope to come back in the future. Very good. Food is great and ambient is ok. Fish and chips is nice, good beer. Very nice meal and lovely staff who were attentive but gave us our space. Just great! Everything was superb. From the service, the food, the ambience. Well done team!! Will be back definitely! Had lunch on Friday. 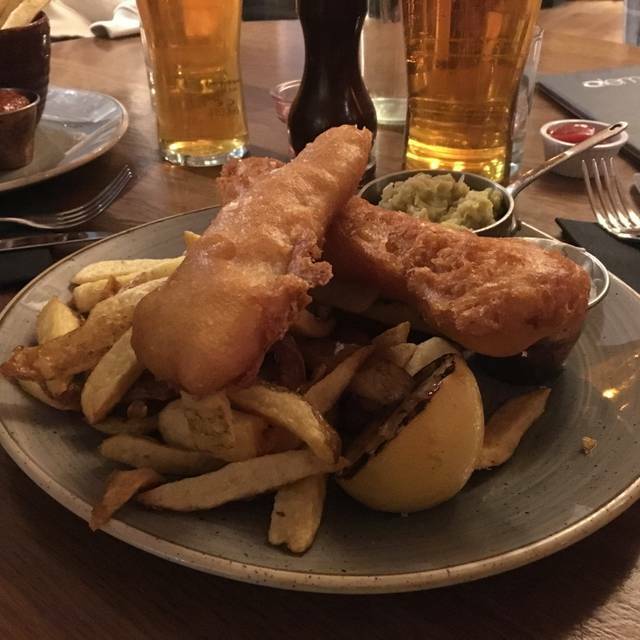 Great fish and chips. Good service. Everything about this restaurant was good, the food, surroundings and service. The only criticism I would have is the background music noise level was just bordering on intrusive. We mentioned this to the manager, but it seemed the younger clientele in the adjacent bar liked it! Good selection of drinks and medium sized food menu, great vibe and atmosphere. Good value for money as the portion sizes were large. Went with 3 girl friends. Staff are very attentive, especially Ben & Edward . Great atmosphere. Will definately be back. This is our third visit to Element on Rugby match day and have been very impresses with the staff, service and food served. A lovely, relaxed atmosphere with friendly, helpful staff. Will visit again when in Edinburgh. We had a lovely Valentine dinner, good food, great value, and importantly for all the coeliacs out there, a great choice of gluten free beers. We’d definitely go again. We came to Edinburgh for one day and finishing the day at Element was super great. Great Sunday roast served up by very friendly staff. fab decor and atmosphere. 4 of us had breakfast here. avocado on sour dough lovely runny poached eggs cannot be faulted. amazing side of haggis. super place. a must visit if in the area. Outstanding evening.Great atmosphere-despite Scotland result ! Staff friendly food quite brilliant and good value.Wine choice right but always rembember the ice in the bucket ! Busy but lively place-buzzing in fact and a great atmosphere. Food and service very good with a great menu choice. Everyone enjoyed their meals. Great lunch had with friends. Recommend the fish and chips! Booked this restaurant for a meal with friends to celebrate a birthday. Arrived and we were seated in the corner at the back of the restaurant. Good cosy seating so we could chat and relax over a glass of wine and fine food. The menu choice was fantastic and the food was sublime. Lovely surroundings service was very good as was the food . Excellent value for money good choices in food and drinks. Only downside which was not the staffs fault the ladies toilet was out of order and we hand to share the gents toilets which I am sure was not great for all. Been to elements many times. Went early 6.15pm in mid January so it was much quieter than usual but the service was terrible. There was plenty of staff visible but none seemed to want to serve us. Had to ask for the dessert menu then wait till they took the order. Took ages to get anyone’s attention to get the bill then again a wait to pay. Service was so poor we didn’t leave a tip which is unheard of for us. Food was good when it came but the night spoiled by very bad service. Brilliant bar with a good selection of food and drinks , has a lovely seated food are and a cosy bar area. Well worth a visit, the staff are friendly and helpful. Group of people who lived in Edinburgh for years, but no one had been here before. Everyone was really impressed with the smart decor, atmosphere, food and service. Really good for groups with a mixture of meat eaters and vegans, as caters well for everyone. Friendly service, fine food and beverages and a cosy atmosphere. Had to wait for dessert and due to delay these were deducted from the final bill which impressed and showed due care and attention to the overall positive experience. Highly recommended. We took friends to Element for a meal as we have eaten there on many occasions as it is so conveniently situated in Rose Street. Our main meal was as usual most enjoyable, but unfortunately my husband and I chose the Treacle Sponge with custard for our dessert and were most disappointed with the lack of custard and texture. We complained and the Manager came over to us and arranged for a replacement and would not charge us for our desserts, which we appreciated. Unfortunately, we had more custard but it was very thin. I think Element need to pay more attention to their desserts please as the choice is also limited. Visited on a Friday evening - very busy so would recommend booking! Food was excellent - we both had the pork belly. Nice ambience and drinks very reasonably priced. Would like to return & try different dishes! Lovely place, great food and super friendly staff, will definitely go back again when next in Edinburgh. Everything was fantastic as I was expected to be. Will definitely come back. Well done Element! Everything fabulous. There was nothing to fault. Will definitely come back. I was greeted by staff member who was warm and friendly - he took us to our seat and organised drinks straight away, no fuss. We were given plenty time to go through menu and only when ready did staff come back to take our order. Lovely time - felt the wine by glass could have been around £5 not £6.50...hey ho that’s the way it goes! I think that the service was fair most likely because the server was new at his job or he just had started working there. He needs definitely more training.Apart from that everything else was fantastic!!! Will definitely coming back.